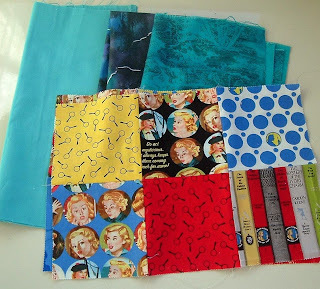 These are a few of the fabrics I`ll be using for my Nancy Drew Blog Hop projects. It took me a while to decide what to sew. I had a hard time making up my mind. I can`t say what my projects are except that I`m using Nancy Drew charm squares and fabrics from my stash. I spent many an afternoon watching Nancy Drew movies when I was younger. She had a boyfriend. I think his name was Tom. Correct me if I`m wrong! The charm squares are Moda. I love them! A few more Diamond Bar cows wandering by looking for water. 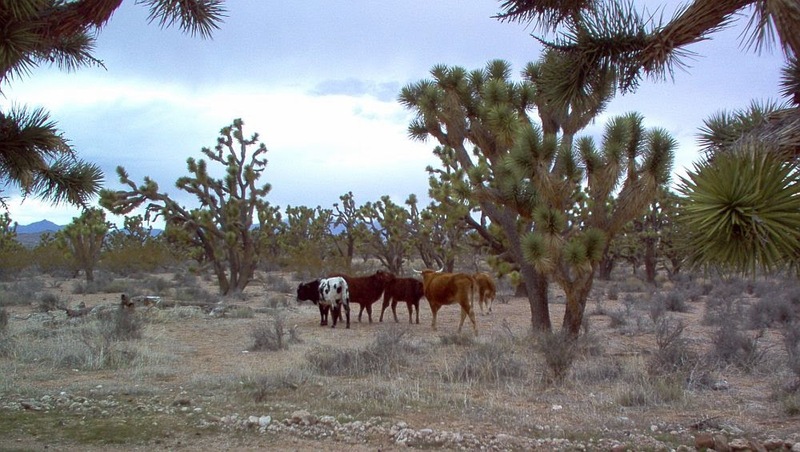 Mostly young ones. I made a new friend, a lovely lady from the mid-west. She and her husband are thinking about moving here. We had a bit of warm weather last week and spent a little time sitting in the sun and enjoying the quiet. Later that week we went to our library, it`s more of an annex, and then had lunch. I seldom do lunch or the library. I had a fantastic time. She is also a sewist and quilts for her church. We are remote and not everyone can deal with the long driving distances to shop and see the doctor. I hope it works out for them. My son sees his orthopedic surgeon tomorrow to get the results of his last MRI. We are praying he won`t need a second back surgery. That one would be more invasive. I haven`t blogged because this has been on my mind. I wasn`t sewing. I sat down at the machine two days ago. It was calming and refreshing. I know you understand. The Hugs & Kisses Blog Hop is ongoing. The link with the red heart is on my sidebar. I am not a participant in this one. I urge you to visit the ladies to see some really great projects and giveaways! Time to go. Housework is calling but that`s going to wait till after my hour or two of sewing. Till later and thank you for visiting. I surely do appreciate it! Do hope your son won't need another surgery. Love, love the Nancy Drew Moda fabrics. What a darling quilt that will make. I read every Nancy Drew book in my elementary school library by the end of my fifth grade school year. But I don't recall Tom! Guess I was not into boys then. I read all the Nancy Drew mysteries too. I`m going to Google that boyfriend I might be imagining, lol. Okay. The fellow`s name is Ned, who most times sold insurance in the summer. He wasn`t actually called her boyfriend. I guess he was more of an acquaintance. I was wrong! Ha! Got Fingers crossed here for your son, and hoping for the best for him. I've lived with a broken back since I was 27, and it took a lot of strength building and gobs of calcium to get, and keep, it stuck together. About sewing, yes, I do understand how calming it is. May you find it always thus. hugs! Hello - Nancy's boyfriend was Ned Nickerson. Where did you find those wonderful fabrics. I'd love to make my daughter a quilt and pillows. Nancy Drew fabrics, yardage and pre-cuts are available at many online shops. I bought mine at Quilt Taffy on Etsy. I can't wait for the Nancy Drew blog hop to start!